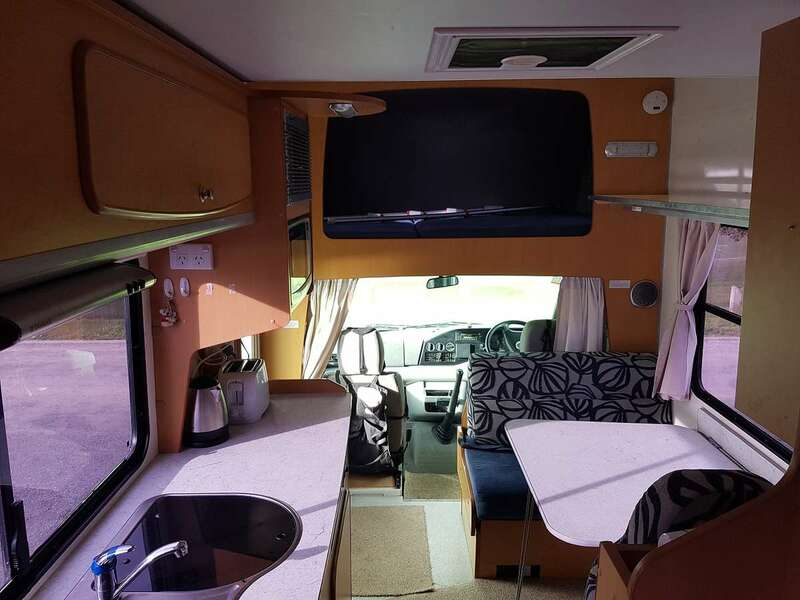 This is a lovely light filled motorhome chosen for the useable space and comfort it offers. She sleeps 6 adults and can be driven on a car license. There is a front and rear lounge with seatbelts for 4 in the front lounge and seatbelts for 3 in the back lounge. 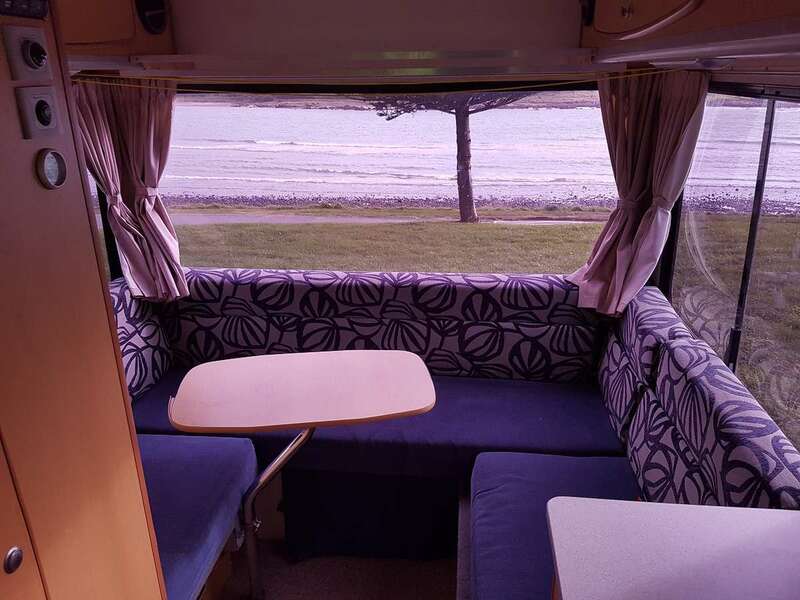 The two lounge tables makes for a great option when travelling, as it is more sociable using the front lounge when driving, but it is also useful to have the option for some to travel at the back (especially true with kids). Having 2 lounges also means you can have a lounge table when two of the beds are in use. There is a large double bed (1.4 m wide) in the luton (the bit above the driver), where we have had 3 kids sleeping at times. The luton provides a lot of space to put bags and bedding during the day. The rear lounge turns into a double bed (1.35 m wide) and the front lounge a double bed (1.3 m wide). The rear lounge has a satellite TV and DVD player. The kitchen has a microwave, small fridge/freezer, grill, 3 burner stove with rangehood and sink. 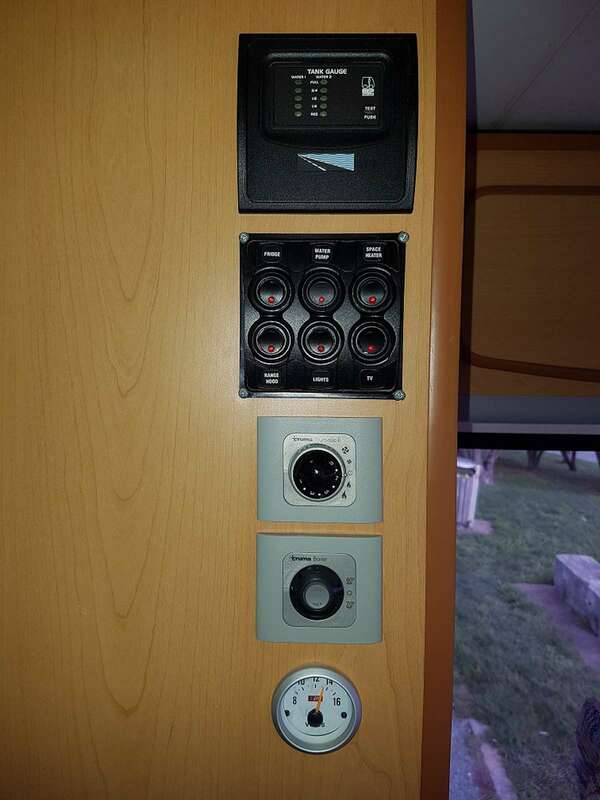 A 2KW inverter is installed which means you can use the jug, toaster, TV, microwave etc on battery power. It is an easy walk through from the back of the camper to the cab. Outside there is a large roll-out awning and 2 side walls so you can shelter out of the wind when required. As well as a outside ground mat to help keep the camper and camping area dry and clean. One issue with camper life can be the lack of storage. 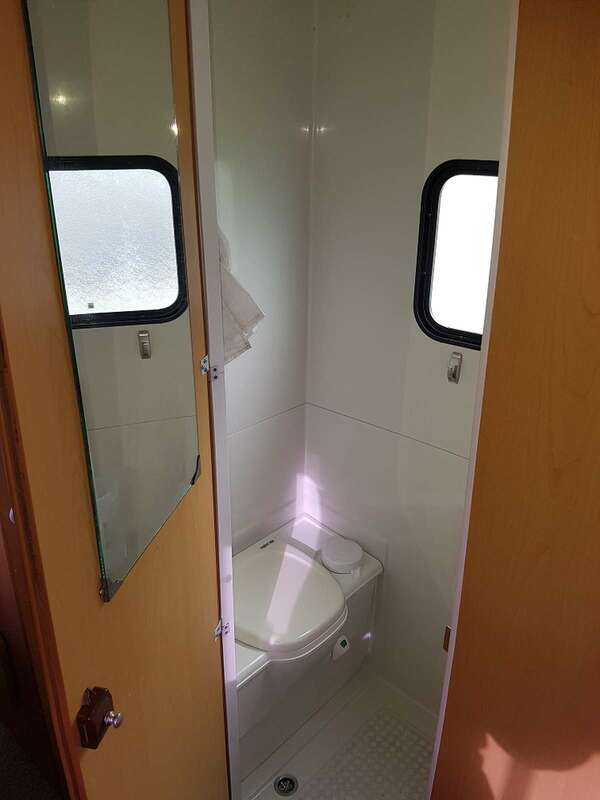 This camper has 4 outside storage lockers, inside storage under the front lounge seats and under the kitchen bench and a wall mounted unit for smaller items. We have also fitted shelves with clear plastic boxes as extra storage space that makes on board life easier (as in addition to more storage space that is easy to get at you can see where things are). 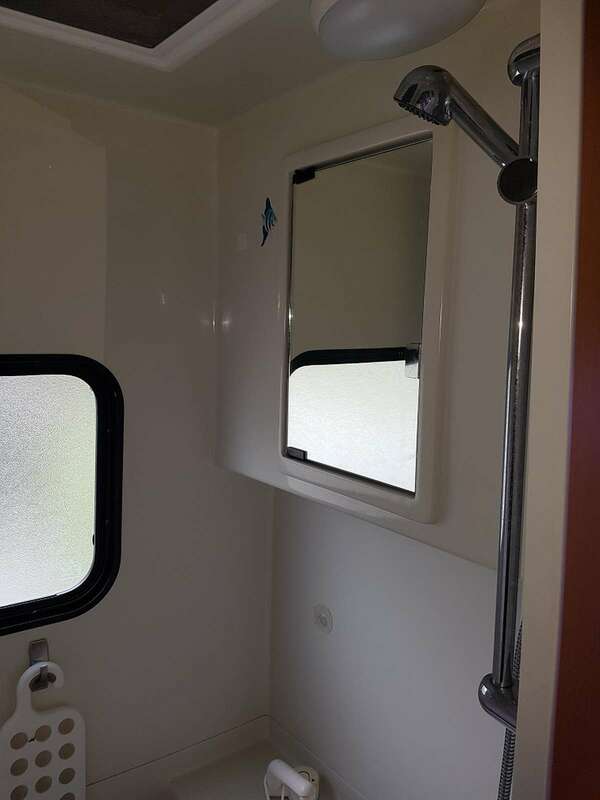 This vehicle is certified as fully self contained (a self containment certificate is required to use many freedom camping areas around the country). It is built on a van-based Volkswagen LT46 with a 2.5ltr turbo diesel engine & 5-speed manual transmission. Airport/ferry terminal pickup's and drop off are negotiable. If required we can provide a bike rack that carries 4 bikes (no charge). Camp chairs are also included. NZ Diesel road user charges are calculated at the end of your holiday. These are $6.60 for every 100 kilometers. 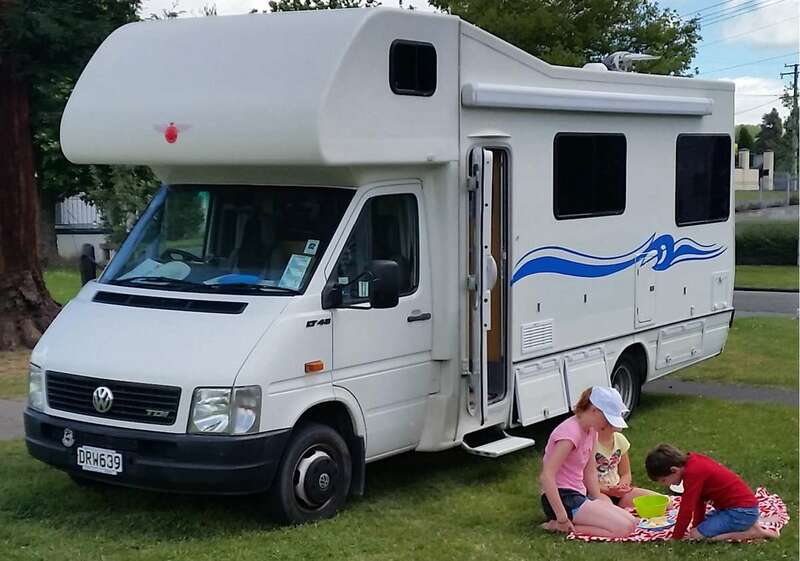 We have loved using our motorhome for family holidays and hope you will to. It really is a great way to build memories for kids and brings everyone together on holiday. We will do everything we can to ensure you have a great holiday in this vehicle. 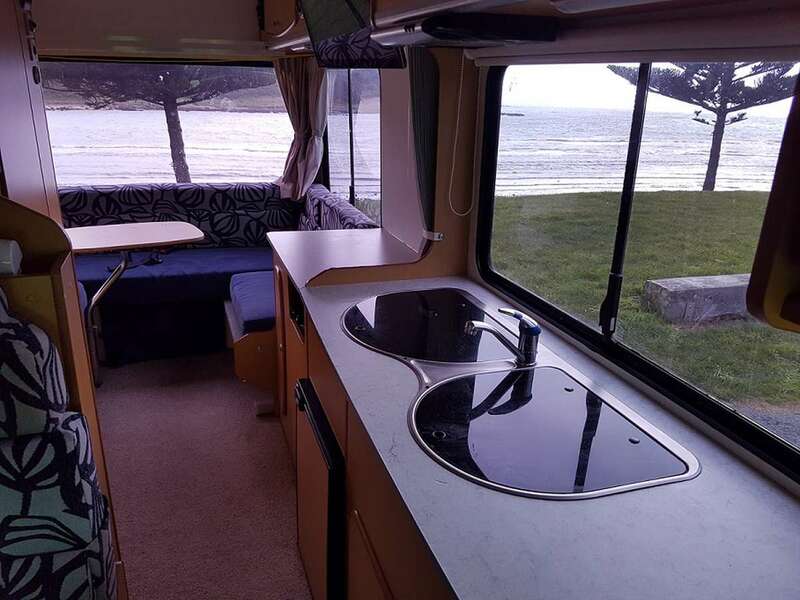 There are many wonderful free campsites around the country, some in the best of locations such as Taupo lake front and Napier waterfront as well as many others. A guide book listing these campsites is provided. We are a phone call away if you have any questions, and can usually accommodate changes to your plans if you need to stay away longer. No beach road driving, and no mountain access roads as these roads are not suitable for large motorhomes. 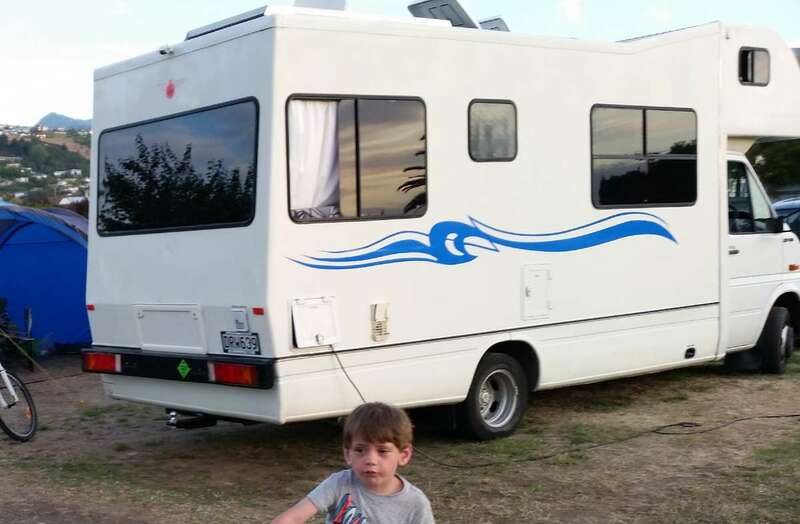 For this camper the security bond amounts NZD 4,000.00. You can reduce it to NZD 500.00 for NZD 35.00 per rental day. The bond will be processed through SHAREaCAMPER's secure payment system.